ASX blockchain software and initial coin offering (ICO) advisory firm, DigitalX (ASX:DCC), revealed this week it will reprise its role as a market maker on approved cryptocurrency exchanges. The fintech company is now extremely well-capitalised to re-ignite this business arm, with more than A$18 million in liquid assets comprised of over $5 million cash in the bank, over $10 million in Bitcoin, and approximately $2 million in Ether, Power Ledger (POWR) and Etherparty (FUEL). In its September quarterly report this year, DCC announced holdings of approximately A$4.3 million, comprising $1.5 million cash and $2.8 million in Bitcoin and Ether. DCC’s board has initially approved the use of up to A$1 million for the provision of market making services. The company has begun a risk assessment of potential cryptocurrency exchanges, with a particular focus on the Australian marketplace. DCC will also utilise arbitrage trading to take advantage of mispricing across the approved exchanges. On an initial basis, the A$1 million allocated is considered sufficient to make markets on digital currency exchanges. Market-making will involve providing liquidity to both sides of the crypto market, while maintaining a small new open position in the asset being traded. DCC will maintain bid and ask limit orders below and above the spot price — these orders are regularly cancelled and updated as the spot price changes. This strategy is expected to produce optimal results for DCC when price volatility is high. The company doesn’t require an Australian Financial Services License (AFSL) to buy and sell its digital currency on crypto exchanges under the current regime. It should be noted that DCC is an early stage play and anything can happen, so seek professional financial advice if considering this stock for your portfolio. Its market making operations will be overseen by the key management involved in prior trading operations and with the relevant expertise, including Leigh Travers, Neel Krishnan and Mike Segal. “DigitalX has a strong track record dating back to 2014 as one of the leading liquidity providers in the Bitcoin marketplace, supplying wholesale Bitcoin liquidity to exchanges, commercial operators and institutions,” company CEO, Leigh Travers said. DCC said it is pleased to see the legitimacy of the Bitcoin and crypto industry further illustrated by the passing of the Anti-Money Laundering and Counter-Terrorism Financing Amendment Bill 2017 (Cth), also known as Australia’s “Bitcoin bill”, through both houses of parliament. This new regulation will see these kinds of businesses operating with a similar compliance model to banks. DCC, moreover, is in an excellent position at the forefront of this development, and said that it expects further positive developments in the marketplace including stable, commercial relationships with banks and strong consumer protections for customers of digital currency businesses, which will include DCC itself. 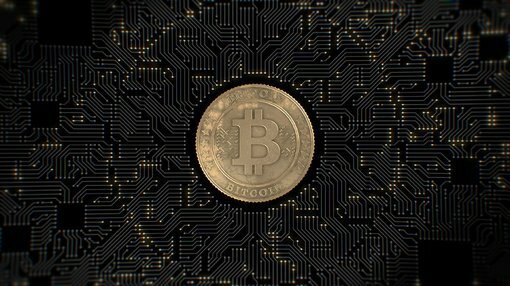 The company has been in an ascendant position this year, flourishing in parallel with a number of positive regulatory changes and considerable developments in the crypto and blockchain landscape, including Bitcoin’s recent surge to record highs.